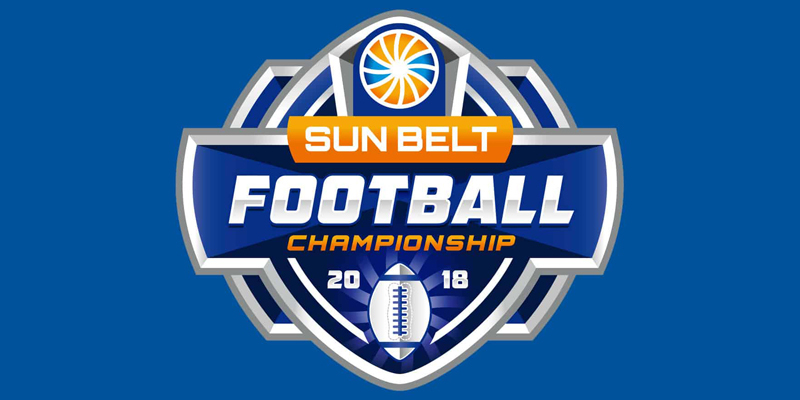 The 2018 Sun Belt Conference Football Championship Game is set for three hours of live programming on ESPN3, providing wrap-around coverage of the Saturday, Dec. 1 matchup between Appalachian State and Louisiana in Boone, N.C. The day’s coverage kicks off with a two-hour pregame show beginning at 10:00 a.m. ET/9:00 a.m. CT and closes with a one-hour postgame show immediately following the game. Both shows, presented by Louisiana Seafood, New Orleans Tourism Marketing Corporation, Dole Food Company and Crystal Clear Imaging, are slated to originate from Duck Pond Field outside Trivette Hall on the Appalachian State campus. Hosted by J.D. Byars and Wayne Gandy, the pregame show will take an in-depth look at the Mountaineers and Ragin’ Cajuns with analysis, season highlights, features and interviews and the postgame show will recap the game and showcase live coverage of the postgame awards ceremony from Kidd Brewer Stadium. Appalachian State (9-2, 7-1 Sun Belt) hosts Louisiana (7-5, 5-3 Sun Belt) in the inaugural Sun Belt Football Championship Game on Saturday, Dec. 1 at Noon ET/11:00 a.m. CT on ESPN immediately following College GameDay.